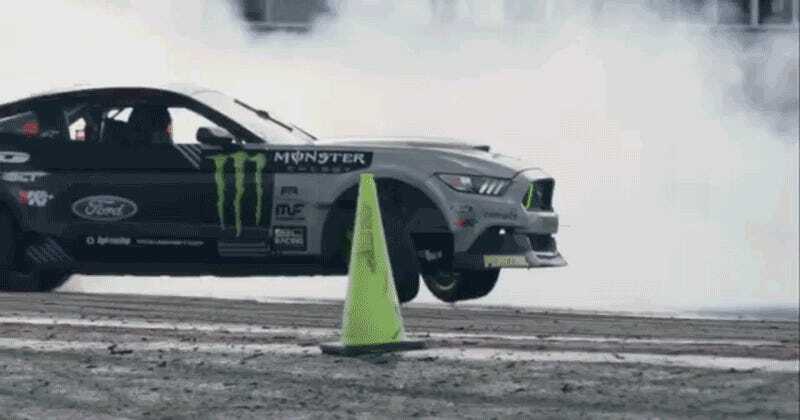 Vaughn Gittin Jr.’s Mustang is an oddity in professional drifting; his RTR team sets his car up like a dirt track car, though he runs in Formula Drift. It’s called weight jacking and it produces what you see here. The car basically wants to lift a front wheel. Then it wants to wheelie. I love the madness of top-level drift cars so, so much. I can’t think of a series that’s this loose with production-based cars anywhere else in the racing world. Can You Explain This Mustang&apos;s Suspension? What Happens When A Drift Driver Tries A Sprint Car?